The well-renowned American event and trade show magazine mentions our units for UD Trucks launch events in their latest edition. Exhibitor is a magazine that covers the latest news and best practices within trade shows and events. In their latest series of articles, Exhibitor goes back to the future searching for the how companies are using the technologies of tomorrow's trade shows today. The first part of this series covers the topics augmented reality, biometrics and 3D printing. When describing how marketers use 3D printing to enagage customers, they take our work for UD Trucks and the Quester launch 2013 as an example. 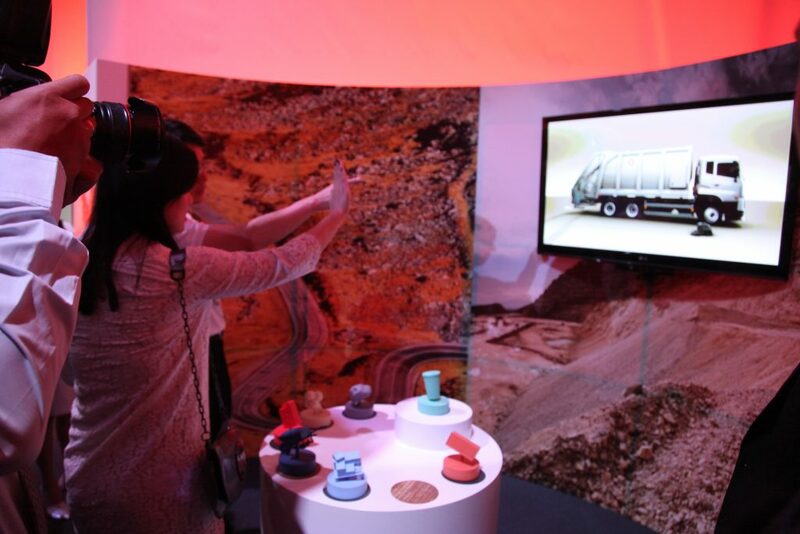 By merging 3D printing with motion-control and gesture-recognition technology, UD Trucks created a whimsical experience for guests. 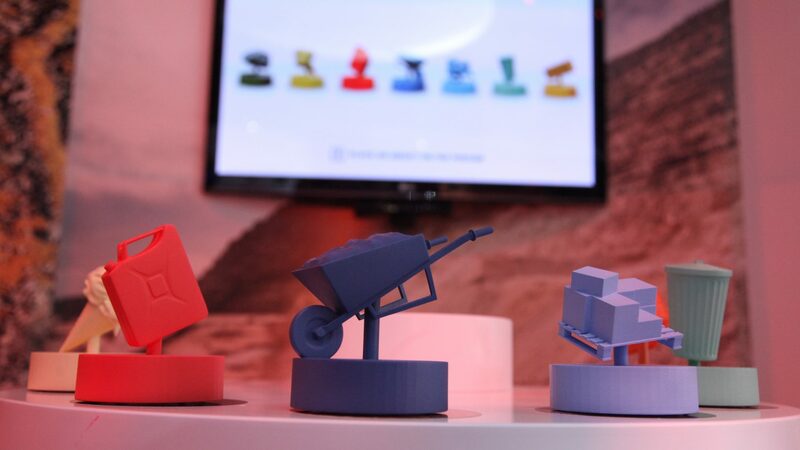 To communicate the wide range of application types that Quester fits we printed 7 objects that symbolized 7 applications. An ice cream symbolized food transport, a trash bin for garbage truck and so on. When the user placed the object on a podium the corresponding truck appears on a screen. Then the truck could be rotated by hand swiping gestures, triggered by an openFrameworks application with Microsoft Kinect hardware. This was a great example of how to use technology, not for its on sake, but to enhance the user experience and let people play with the brand in order to get an better feeling for what it offers. This approach was something that the Exhibitor magazine highlighted as well.